One fine day in 1991, Kate Brosnahan, who was then working as a fashion editor for the Mademoiselle Magazine, decided that the fashion industry is making boring handbags. She never liked the fashion world’s classics like Chanel or Prada, nor did she like Coach. With a clear mission in her head to create sassy yet classy handbags, Kate set out to make handbags that would be feminine and playful. With no prior design experience, she started from scratch with paper and scotch tape, bringing her ‘perfect handbag’ to life. Her then boyfriend Andy Spade, who was a Creative Designer, was her encouragement behind the daunting task of creating designs. She made a series of samples until her collection evolved into black nylon handbags between the price of 100$-400$. Things took a quick turn for the company, the bags which were labelled as ‘preppy with attitude’ by the Washington Post, and they gained popularity fast! Many boutiques soon started placing bulk orders, both small boutiques and big ones like Bloomingdale’s and Saks. Soon after, Vogue featured Kate Spade bags on its glossy pages right next to some big labels, and there was no looking back! Known for their modern sensibility, Kate Spade bags were quirky with a graphic approach and a trademark wit, which was well ahead of its time back in the 90s. The label, which started from a humble store, very soon became a 10,000-sq ft space in the heart of New York. Very soon, they were not limited to designing and selling handbags, but also extended to creating countless other things such as women’s clothing, women’s jewellery, shoes, stationery, eyewear, fragrances, and more. By 1998, they were reporting sales of $27 million. ’Kate Spade Home’ was launched in 2004, and it was the same year when the label opened its first overseas store in Tokyo. In 1999, Neiman Marcus bought 56 percent of the company’s stake for $33.6 million. In 2006, the company was enjoying a turnover of a whopping $99 million, and that’s when Neiman sold the label for $124 million to Liz Claiborne. The label continued to grow, but in 2007, Kate and Andy Spade sold off the last of their shares due to family obligations and left the company. The label has since over the last decade become more about a full-fledged lifestyle brand rather than a designer-specific entity. Kate Spade remains a very popular brand with immense resale value. The Luxury Closet sells some hot favourites of the brand like the Pink Leather Bow Strap Hobo and the Gold Metallic Wellseley ‘Quinn” Tote . While the label still bears her identity, Kate is now back, with a new name and a new identity. Kate Spade has changed her name to Kate Valentine to match it with her new women’s shoes and handbag line, Frances Valentine. The new brand is focused towards making shoes and handbags for working moms. The team that founded Kate Spade went back to the drawing board, and is now making a collection that takes inspiration from the lives they have led in the 8-year break. They have now come up with a line up for suburban and urban women. This brand is a blend of Italian craft, American designs and is chic and international. On the other hand, far from the tumultuous ownership changes the company had, Kate Spade has remarkably never lost its identity. 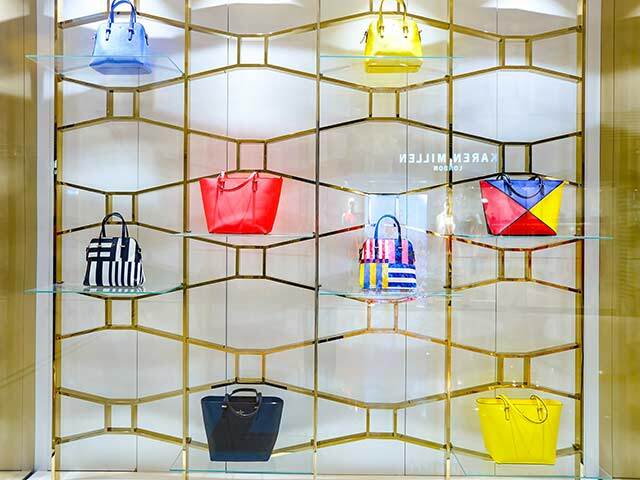 The history of Kate Spade, the brand, was so exceptional that it carried on successfully even after its founders had left, without losing its true colours or shying away from its principles.